The art of efficient packing means having everything you need, nothing you don’t need, and the perfect accessories to help you organize it all. Whether traveling business or pleasure, the right gear can make all the difference between a successful trip and a dud. Accessories need not be just for looks. They can be more. Like useful. In more than a few ways. To make life a little easier. Or a lot easier. Find out why these luggage accessories made our top 6. 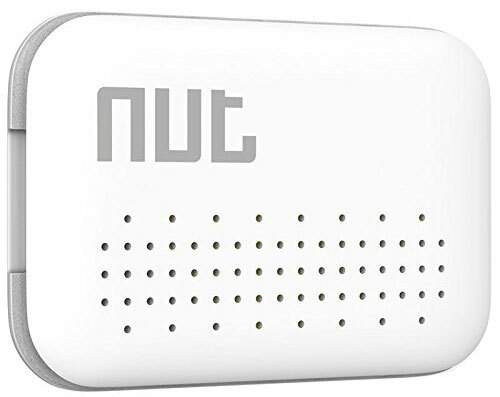 This Frotech Bluetooth NUT Tracker has ultra-low power consumption so you won’t have to worry about charging it often. It’s light, thin and smaller than many trackers on the market. 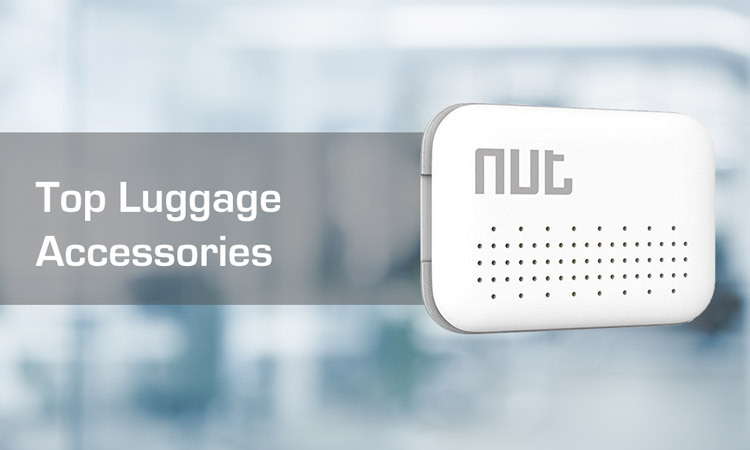 A really handy feature is the two-way Anti-lost smart system which means when the phone and Nut mini are left behind and out of safety range, they will both beep to alarm you. It also has a location record so the Nut App will show you the location where and when Nut got disconnected on the map. The one touch find allows you to press the “Beep” button on Nut App, and Nut will beep for you to find it. It’s equipped with a convenient pendant cord so you can easily fasten to the bag, or slide it into a safe spot. 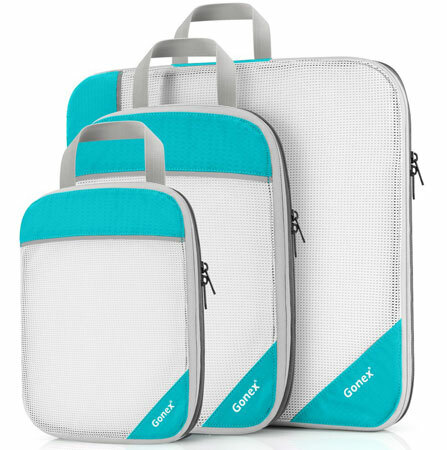 Packing cubes are an excellent way to keep luggage organized without adding bulk or a lot of extra weight. There are a lot of packing cube options on the market right, but we’ve found this set from Gonex to be one of the most quality potions for an affordable price. This set includes: 1 large (15.4x15x3.54 inches), medium (11.8×9.1×3.54 inches), and small (9.8×7.5×3.54 inches). Because of the various sizes they’re good for a variety of items, even the little things like jewelry and belts. Made from soft and smooth nylon fabric with a ventilate mesh cloth. The material expandable, tear-resistant, and waterproof. These are especially useful for separating dirty laundry from the rest of your bags contents. These luggage straps can be easily spotted in a busy airport because of their unique colorful pattern. Not only that, they also work well to keep your bags contents safe with a TSA approved combination lock. This belt can keep your luggage not burst open during transit. 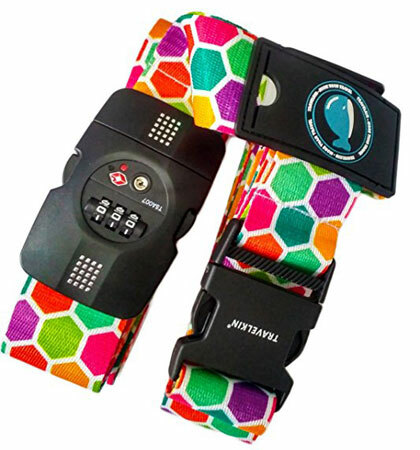 Made from high quality nylon, the straps and ID card does not snap when bent inward or outward. The width is approximately 2 inches, vertical max length approximately 87 inch, horizontal max length approximately 75 inches to fit a 20″-32″ suitcase. It also can be separated into two straps for independent use. Users report these straps are very sturdy and the lock is very easy to setup. This attractive looking modern bag is more than just a pretty face. Well crafted from waterproof materials it’s durable for the long-haul. But what makes this backpack special is it’s tried and true, it’s got over 400 reviews on Amazon and comes in at 4.6 stars. 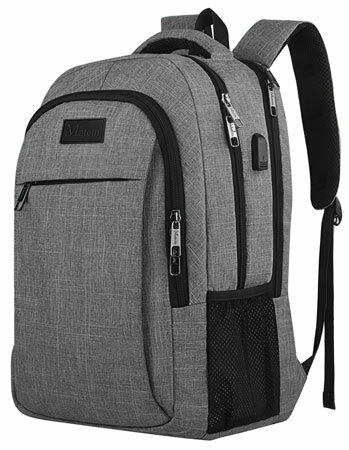 This backpack applies anti-theft technology. The zipper of the main pocket is fully hidden in the back of this bag. It’s also equipped with a secret pocket which is behind the bag. Charge your devices on the go with the convenient USB charging cable. Have you ever left behind your book, tablet, or worst yet passport in the seat pocket on a plane? I have… Not to mention I feel like I can almost see the germs congregating on those trays. So, this nifty high altitude flight bag by Genius Pack is really genius. It’s smartly designed to wrap around an airplane tray and has a rear trolley slit to attach onto luggage. 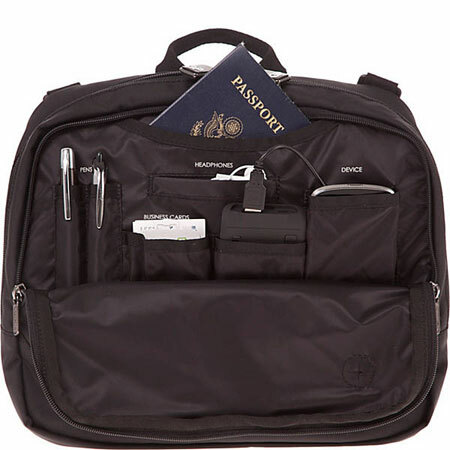 There are designated pockets for a tablet, documents/magazines, writing utensils, headphones, business cards and your passport. The rear compartment fits up to 6 magazines, so it’s pretty roomy too. An audio port is provided to feed headphones to device inside the bag. This bag is convenient and user friendly. Now we’ve every luggage accessory you could want, all built in with this Bluesmart smart luggage carry-on. It is also the world’s first Smart Luggage. Founded by two guys who got tired of losing luggage, this bag has an internal battery charger, GPS tracker, remote locking via app, an internal scale, and more! If you travel often, then the built-in battery charger will be your best friend. You never have to worry about leaving your battery pack at home. GPS tracking will give you peace of mind. You will impress your friends with the remote locking feature via your smart phone. And you will catch people’s attention with it’s stylish and unique look. 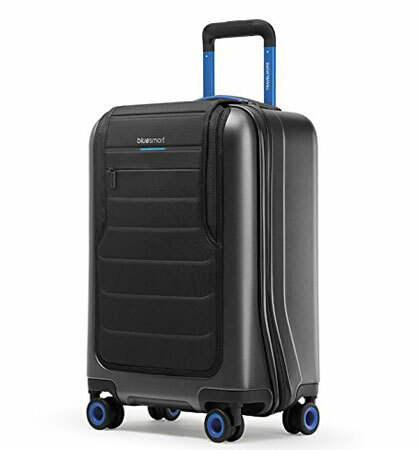 To learn more, see our in-depth review on the Bluesmart Smart Luggage.